In developed countries, life expectancy has doubled in the last 200 years thanks to lifestyle improvements, better eating habits, and medical progress. In parallel, the health specific to each age of life has also improved with an increase in physical and cognitive functions during ageing. However, this is not the same for healthy ageing. Indeed, the longer of adulthood increases the risk of developing a chronic disease such as cancer, cardiovascular diseases and neurodegenerative diseases. Partridge et al in a recent Nature review paper recall that ageing is first manifested subclinically. See more : loss of bone tissue, cartilage tissue and muscle mass, and a gain of abdominal fat. Systemic changes and changes in the endocrine system can also be detected. They can cause hormonal changes, pressure changes and lipids changes. When these markers are elevated in patients, their lifespan seems shorter. It is the same during accumulation of comorbidities. Advanced age has recently been linked with frailty, functional and psychosocial deficits increasing the risk of falls, fractures, hospitalizations, organ failure and death. The question that the authors ask in this review are: How can we explain this ageing and how to deal with it? First, they discuss about genetic modifications. Indeed, studies have shown that a genetic locus located on the apolipoprotein E gene could have a potential involvement in longevity. In other studies, this locus is associated with susceptibility to cardiovascular disease and Alzheimer’s disease, frequently linked to ageing. Other genetic studies have shown that the FOXO3A locus may be involved in the “healthy ageing”. However, the authors conclude that the expansion of lifespan observed this last years is too fast to be explained just by genetic modifications. The environment and lifestyle of people (diet, education, physical activity …) seem to be major factors in ageing. In this review, the authors remind us that specific diets, caloric restriction, physical exercise, cognitive training, vascular risk monitoring, and vitamin D supplementation have all shown to have a beneficial effect on ageing. However, this response depends on the people, and these interventions must be personalized. Another approach is the use of drugs, to prevent cardiovascular risks by reducing hypertension and cholesterol. However, these pharmaceutical interventions must also be adapted individually, with the age, the frailty and the comorbidities of the patient. Another way to study ageing mentioned by the authors are the animal models. These are usefull to study general ageing but also in different tissues, at different ages of life, and its potential contribution to other pathologies. These models also have limitations: laboratory conditions protect animals from infectious diseases, provide them with food quality, and these animals have restrict exercise; which are factors known to influence ageing. Despite this, animal studies have been able to show an important role of the environmental response, in particular, the diet in the animals lifespan; which is difficult to evaluate in humans. Other factors show the important role of environment on healthy ageing. The intestinal microbiota, or microbiome, whose composition varies according to the individual, is sensitive to environmental factors like diet and medication. Different studies on ageing have established biomarkers of individual physiological age and biological age. 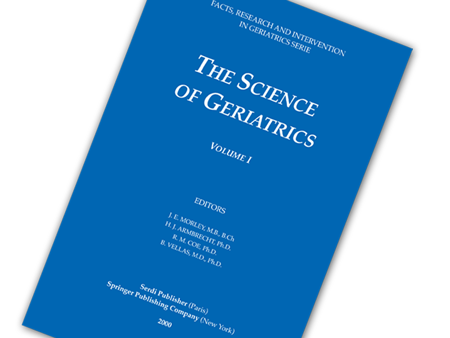 The authors underline that these biomarkers must respect the criteria of the American Federation for Aging Research (AFAR). They have to better mark the individual state of ageing and better predict mortality than chronological age, monitor ageing and not the effects of the disease; allow longitudinal monitoring of animals and humans (eg by blood tests or imaging). Multi-markers have been developed on these criteria. For example, “frailty” is described by low physical activity, muscle weakness, slowed performance, fatigability, and unintentional weight loss (fraitly index, and frailty phenotype algorithms). More recently, biological age markers (shortening of telomeres, epigenetic clock, rhythm) have been developed, and can reflect different aspects of physiological decline. To address this challenge of ageing, the authors suggest that global public health efforts should focus on reducing the risk of obesity, tobacco, alcohol, physical inactivity, hypertension and cholesterol levels, to reduce diabetes, cardiovascular disease and cancer. Another possible strategy could be cell therapy because it allows the association of genetics, molecular, and other phenotypic characteristics of ageing. The association of gene expression, protein and metabolism with age-related diseases could include all the hallmarks of ageing: genomic instability cell senescence, loss of proteostasis, mitochondrial dysfunction, altered intercellular communication, deregulated nutrients sensing, stem cell depletion, epigenetic alterations, and telomere attrition. To conclude, the authors tell us that the expanding proportion of unhealthy elderly people, in many populations, is a global social challenge. However, public health measures can be effective limiting the risk of cancer, metabolic and cardiovascular diseases, and should be used in primary care. However, the effectiveness of these measures depends on the will of individuals and their compliance. Partridge, L., Deelen, J., and Slagboom, P.E. (2018). Facing up to the global challenges of ageing. Nature 561, 45–56.